Is the End Near for Traditional Orthopedic Implant Makers? Richard Hurley would like to put makers of orthopedic medical devices out of business. First, though, he wants to do business with them. The orthopedic surgeon based in Halifax, Nova Scotia, conceived the idea for his startup software company, Conceptualiz, three years ago. Working with University of Toronto computer science professors Karan Singh and Ravin Balakrishnan, Hurley first tried to make 3-D imaging in hospitals less cumbersome and more accurate. Failing to find a market for that, he and his colleagues had a “Eureka!” moment. What if surgeons could design and produce their own patient-specific implants with iPad-compatible software and 3-D printers? That’s the ultimate plan. Meanwhile, Conceptualiz is trying to convince orthopedic device makers that its software would reduce the time and cost it takes to bring custom-made implants to market by adding surgeons’ expertise to a design process dominated by engineers. In addition to the manufacturers of off-the-shelf implants, which make devices in a limited range of sizes, Conceptualiz would have to compete with ConforMIS Inc., a Bedford, MA, company that went public earlier this month. ConforMIS has more than 400 patents covering its products and production procedures and is the only company that offers a fully customized knee implant designed for use in only one patient, according to company spokesperson Bill Berry. Surgeons who work with ConforMIS take a 3-D scan of the patient’s knee and send it to the company to design and produce a custom implant, Berry saus. ConforMIS uses 3-D printing to produce the implant and all of the surgical instruments used in the procedure. Those instruments are calibrated for use in only that patient and are not reused, Berry adds. ConforMIS produces each implant on a “just-in-time” production schedule, delivering it just before the procedure is scheduled, according to Berry. This relieves hospitals of the need for storage and assures patients of the most up-to-date materials and design, he says. Conceptualiz would also help hospitals reduce the need to store of off-the-shelf devices, Hurley says. “An interim step would be to have the surgeons design the implants and export them to the medical device companies for manufacturing,” he adds. Hurley says fellow surgeons would find the company’s software “very intuitive,” requiring only a small learning curve. Another advantage for medtech companies that produce custom orthopedic devices is that recalls could be small. For example, FDA issued a Class II recall of one ConforMIS iTotal CR G2 Knee Replacement System in December 2014 due to mislabeling of tibial inserts. Two years earlier, however, FDA issued a Class II recall of 1427 iTotal CR Knee Replacement Systems in order to give surgeons an addendum to the product’s surgical technique guide. Hurley said he considers 3-D custom devices equally subject to regulation and recall as other devices. He sees knees and hips as the most likely candidates for 3D printing, but isn’t ruling out fracture fixation for any part of the body that shows up on a CT or MRI scan‒including the spine. Hurley also expects these surgeon-designed implants to save hospitals money through decreased sterilization, waste, and consignment costs. He also believes they would reduce radiation exposure to patients and staff, as well as the potential for postoperative complications and revisions. They would also give surgeons even more control, which they are famously said to crave. “Our thinking is that surgeons are engineers by nature, and they want to be more involved in the process,” Hurley says. Conceptualiz has raised $75,000 of the $1 million Canadian that it needs to bring its software to market. Hurley is hoping to attract $500,000 in angel investments so the company can leverage a matching amount from the Canadian government. Alternatively, Conceptualiz could partner with a medical device company that would help guide the device-designing software through the regulatory process. “We are already in talks with a variety of different companies—3-D printing companies, software companies, orthopedic companies,” Hurley says. Conceptualiz has also applied to FDA for Class II approval of its software. Ultimately, it would seek Class III approval of its 3-D printing process. The company also intends to seek the CE Mark in Europe. Hurley expects the first hospital users will be universities and academic centers. “Eventually, we want to see this mainstream, in every hospital,” he says. Could a small company like Conceptualiz really put traditional orthopedic implant engineers and manufacturers out of business? 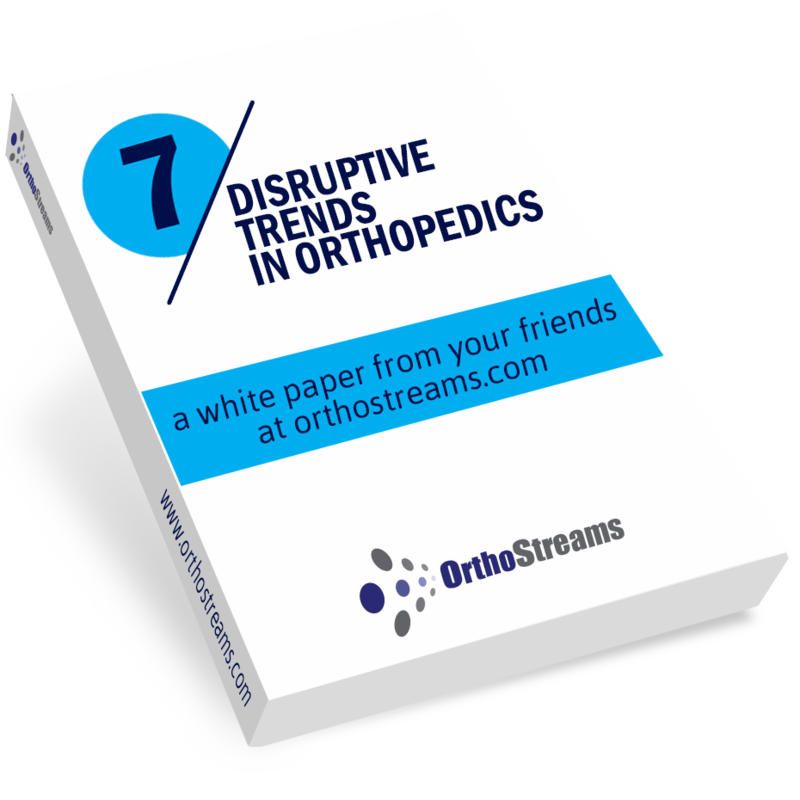 One response to Is the End Near for Traditional Orthopedic Implant Makers?